Be prepared for a panoramic sight of blossoming flowers and soaring birds right outside your window only at Casa Della Jarzmin. The apartment has undergone several times refurbishment since 1997 to ensure guests enjoy a comfortable vacation during their stay here at one of the most popular destinations in the country, Cameron Highlands. 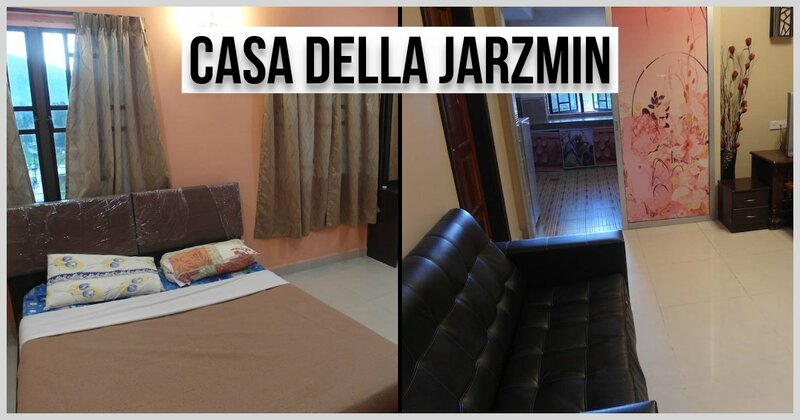 An ideal family size accommodation option, Casa Della Jarzmin is ideally located in Tanah Rata town. Just minutes away from the most happening spots, Brinchang night market, guests also have easy access to various attractions such as Tea Estate, Butterfly Garden, Cactus Valley and Vegetable Farm. The apartment is beautifully furnished with various amenities such as sofa set, remote-controlled television with Astro channels and kitchen with plenty of cooking utensils include rice cooker, stove and refrigerator. For those who are planning to have barbecue session here, remember to request for BBQ set since it is only available in selected units. So with abundant of facilities and amenities, you can expect a tranquil and comfortable holidays here. Like any other resort or apartment in Cameron Highlands, the room rates vary depending on season. But generally the rate starts from RM180 per night to RM750 during super peak season. Therefore, book in advance to avoid disappointment. Nevertheless, if you are looking forward to enjoy a tranquil and cozy vacation without the crowd, visit the highlands during off peak season. Since Casa Della Jarzmin has undergone several times refurbishment, do not be surprised to find the interior design is constantly changing. After all, when was the last time you stay here? If this is your first time staying here, you’ll definitely fall in love with the contemporary classic look. Just spend some quality time with your loved ones to enjoy splendid sunsets and views of rolling hills right outside the window. Think comfort, think Casa Della Jarzmin. Indeed a perfect accommodation for leisure travellers.